Scott Detrow is a congressional correspondent for NPR. He also co-hosts the NPR Politics Podcast. 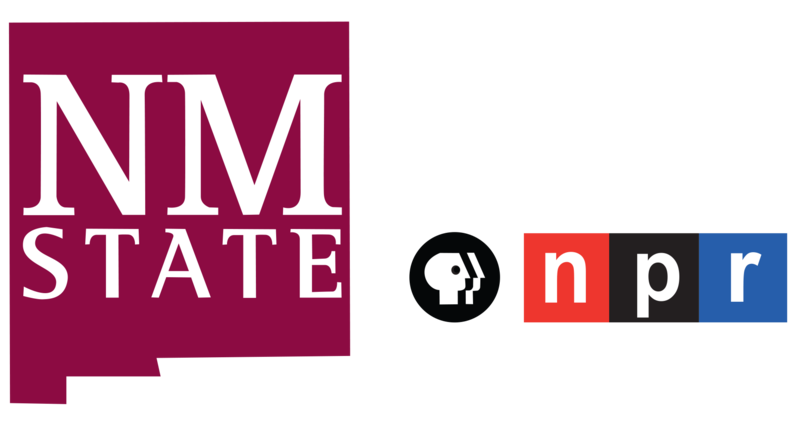 Detrow joined NPR in 2015 to cover the presidential election. He focused on the Republican side of the 2016 race, spending time on the campaign trail with Donald Trump, and also reported on the election's technology and data angles. Detrow worked as a statehouse reporter for member stations WITF in Harrisburg, Pennsylvania, and KQED in San Francisco, California. He has also covered energy policy for NPR's StateImpact project, where his reports on Pennsylvania's hydraulic fracturing boom won a DuPont-Columbia and national Edward R. Murrow Award in 2013. Detrow got his start in public radio at Fordham University's WFUV. 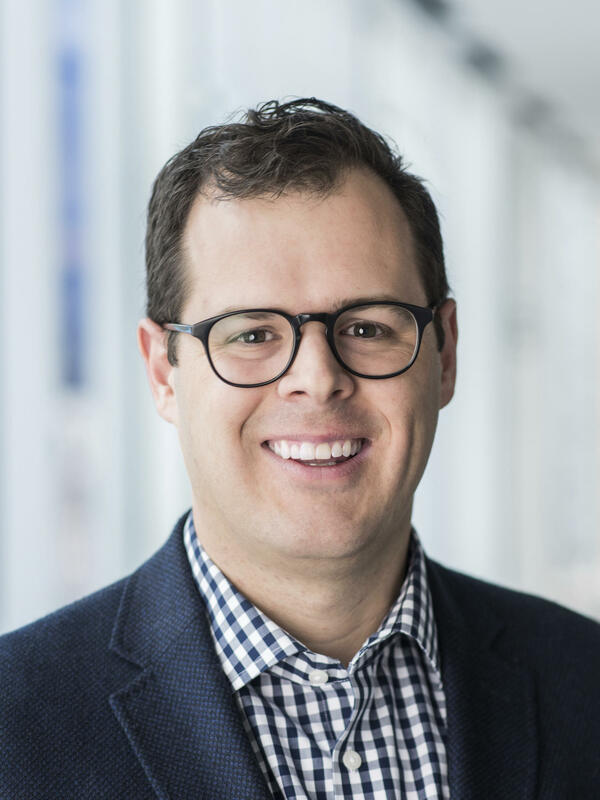 He graduated from Fordham, despite spending most of his time in the newsroom, and also has a master's degree at the University of Pennsylvania's Fels Institute of Government. If the giant inflatable Trump chicken outside New Jersey Rep. Tom MacArthur's town hall didn't make it clear — or the group of people singing health care-themed protest songs; or the Affordable Care Act cemetery; or even the plane circling overhead trailing an anti-MacArthur message — an early moment in the Republican's constituent town hall provided a sign this was going to be a long, contentious night. 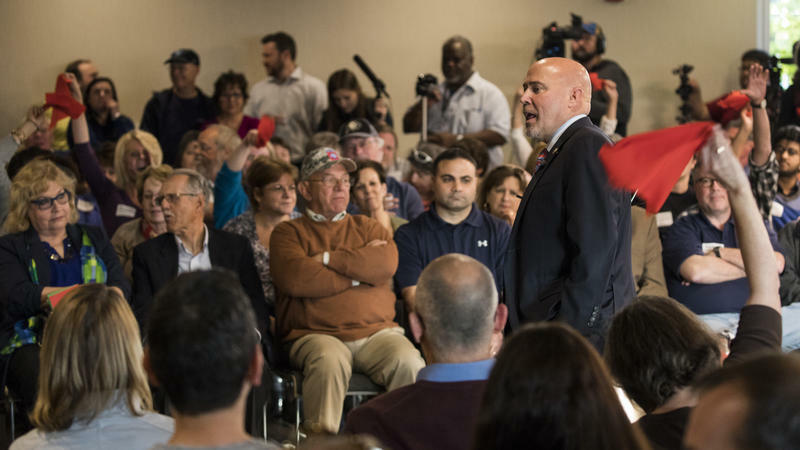 That's when several people in the Willingboro, N.J., crowd started to boo and jeer when MacArthur talked about his daughter, Grace, who died at age 11. Updated at 5:05 p.m. ET. With the clock ticking, Congress on Friday managed to fulfill its basic function — keeping the federal government running. The House and Senate approved a short-term measure that funds the government for another week. 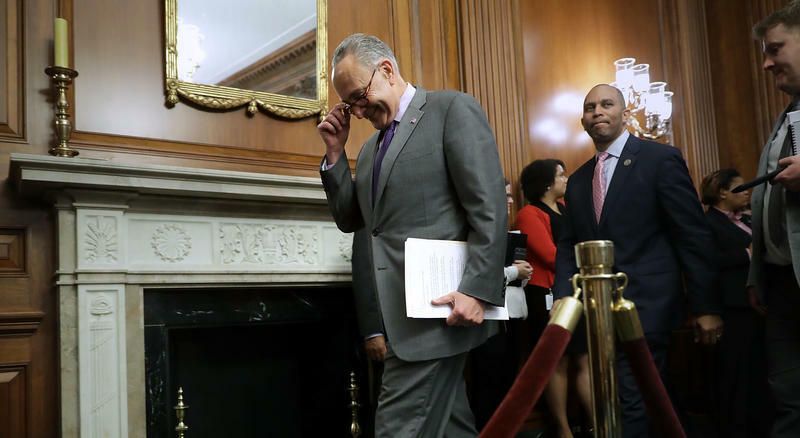 Lawmakers voted hours ahead of a midnight deadline to avoid a partial shutdown of federal agencies. Friday's extension gives members of Congress more time — until midnight on May 5 — to try to reach a deal on a spending bill that will last through the rest of fiscal year 2017, which ends Sept. 30. And now let's turn to NPR's Scott Detrow, who's covering this and many other stories. SCOTT DETROW, BYLINE: Morning, Steve. Things were going well for the Democrats in Miami. Democratic National Committee Chairman Tom Perez and Sen. Bernie Sanders, I-Vt., hadn't exactly sold out the downtown theater they were campaigning in, but the audience was solid and energetic. The anti-DNC catcalls that had plagued early stops on the uneasy allies' weeklong unity tour hadn't surfaced. 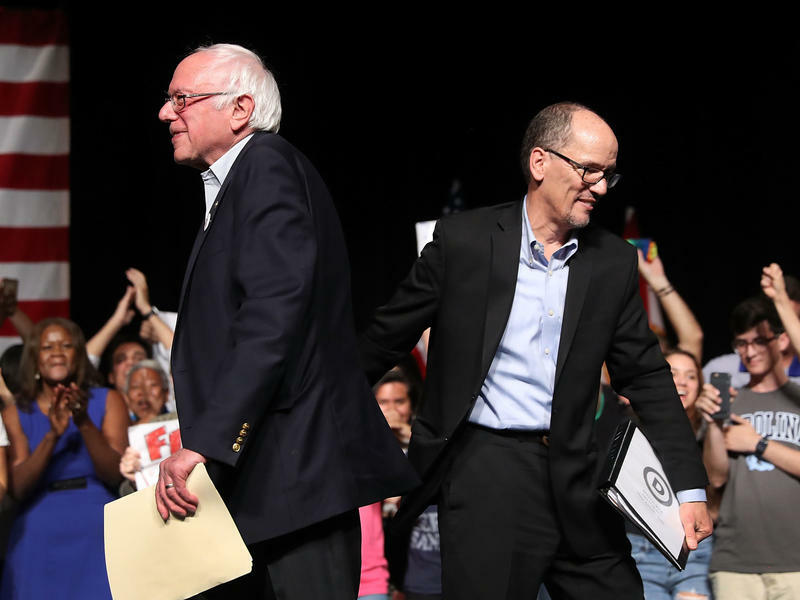 And both Perez and Sanders had delivered fiery speeches that had pumped up the crowd in a key city of a critical swing state. Sanders was shaking hands with supporters as David Bowie's "Starman" blared. Sen. Bernie Sanders is campaigning for Omaha, Neb., mayoral candidate Heath Mello Thursday night, and he's not apologizing for it. "Absolutely, and I want him to win," Sanders, I-Vt., told NPR Thursday, after a rally in Grand Prairie, Texas. 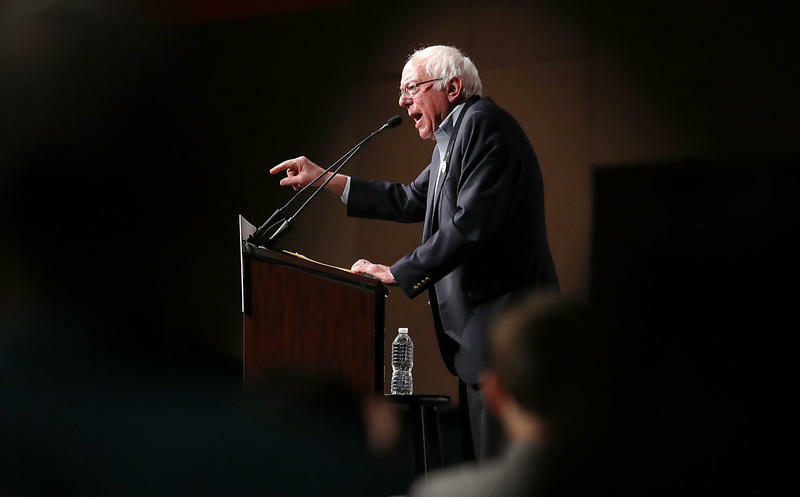 The Thursday event with Mello, a Nebraska state senator who's running as a Democrat in the mayoral race, is one of several rallies Sanders is holding across the country this week. It's part of a Democratic National Committee-organized unity tour with DNC Chair Tom Perez. Updated at 7:15 p.m. ET. 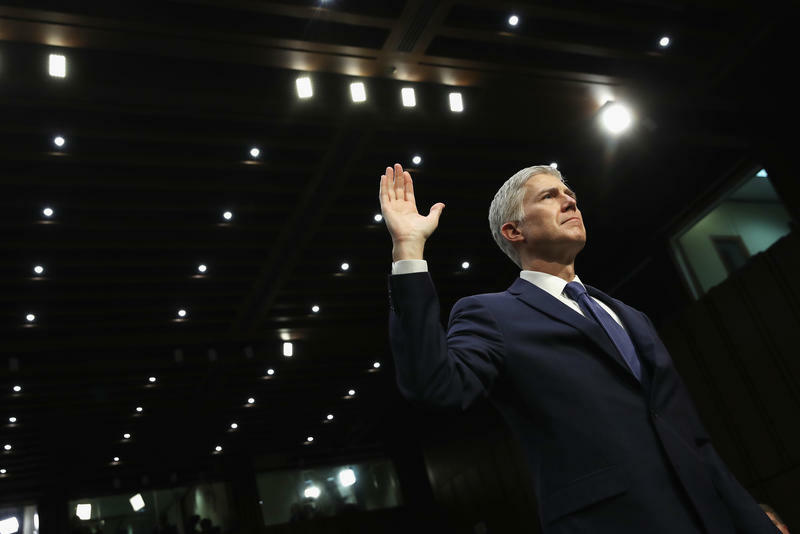 Forty-one Democratic senators have now publicly announced that they will vote against ending debate this week on the nomination of Judge Neil Gorsuch to the U.S. Supreme Court. That means Republicans cannot at this time clear the 60-vote threshold needed to proceed to an up-or-down vote on the nomination. 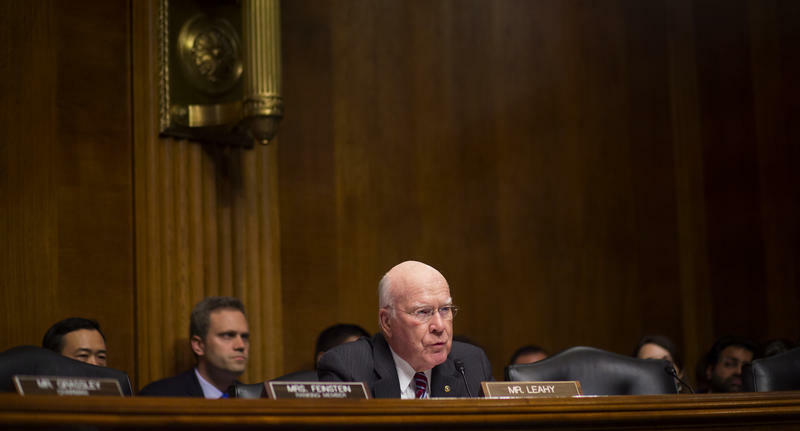 It also sets up an historic vote to end the Senate's filibuster rule for Supreme Court nominees. 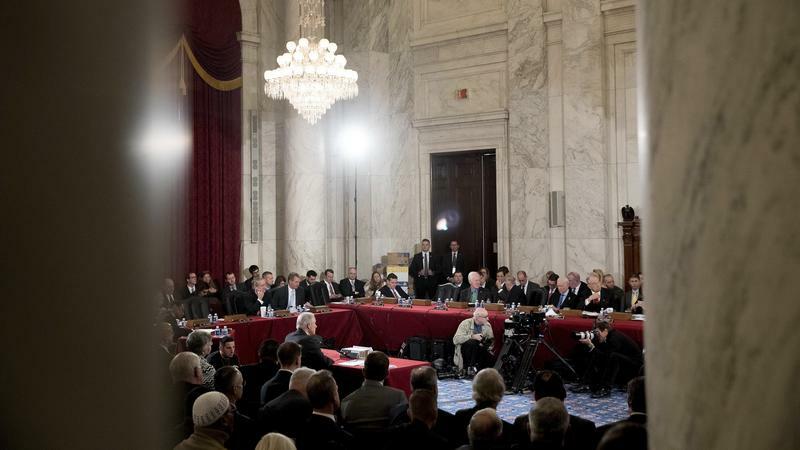 Lawmakers from both parties are increasingly convinced that the United States Senate is on a collision course that will permanently change the dynamics of the chamber — and the United States Supreme Court. There's a growing bipartisan sadness and resignation about next week's showdown over the rules that govern high court nominations. But that doesn't mean there's any serious attempt from either party to avoid it. 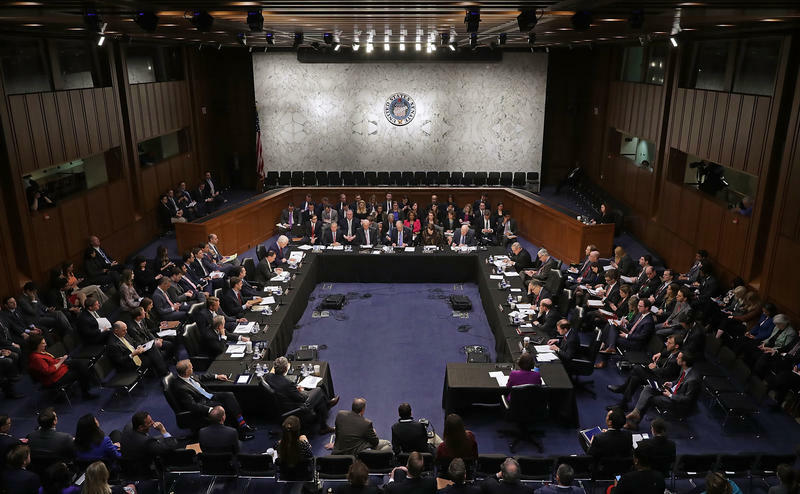 The director of the FBI, James Comey, told lawmakers this morning that his agency is investigating possible links between Donald Trump's presidential campaign and Russia. "This is the chance. 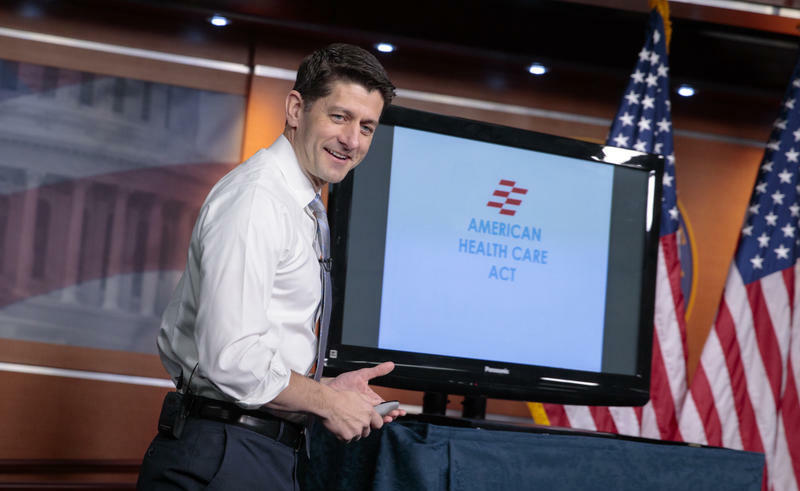 This is a once-in-a-lifetime opportunity," said the speaker, roving the stage with a wireless mic, gesturing at both the audience in front of him and the PowerPoint presentation behind him. TED Talk? Late-night infomercial? Nope — it was House Speaker Paul Ryan, making a hard pitch for his health care plan after a week of loud conservative criticism. On the eve of the vote for the next chair of the Democratic National Committee, the crowded field is thinning out. South Carolina Democratic Chair Jaime Harrison dropped out of the race Thursday and endorsed former Labor Secretary Tom Perez. 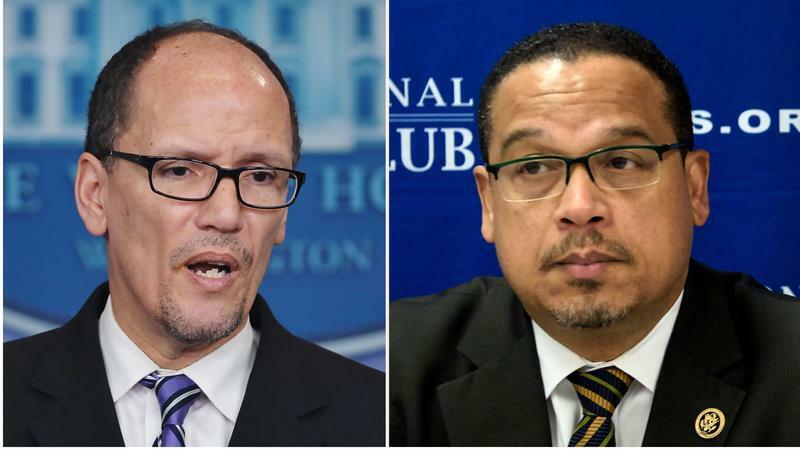 The move comes days after another candidate, New Hampshire Democratic Chair Ray Buckley, exited the race and threw his support to Rep. Keith Ellison of Minnesota. Oklahoma Attorney General Scott Pruitt has been confirmed as the next administrator of the Environmental Protection Agency, an agency Pruitt has long criticized. 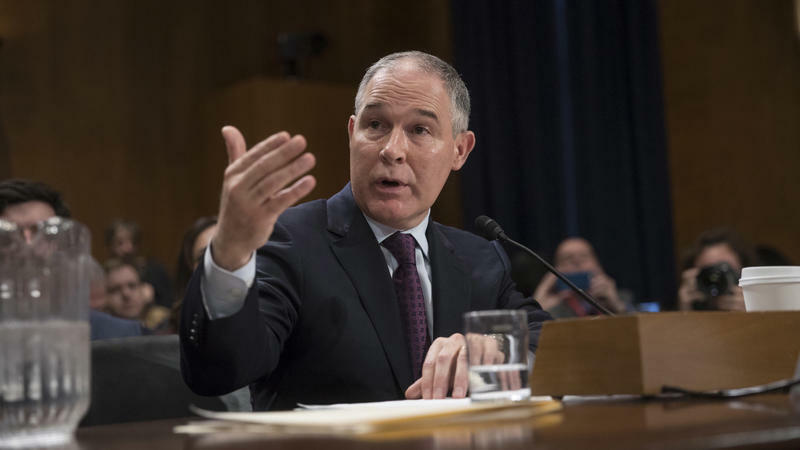 The Senate approved Pruitt on a 52-46 vote Friday afternoon, with two Democrats — Joe Manchin of West Virginia and Heidi Heitkamp of North Dakota — voting for his nomination. Republican Susan Collins of Maine voted no. When House and Senate Democrats held a rally Monday night to oppose President Trump's executive order on refugees and immigrants, the crowd wasn't all on their side. Pockets of, "Do your job!" jeers broke out, as did chants of "Walk the walk." This week, the House and Senate took the first substantial step toward repealing Obamacare. Today, Democrats are holding rallies across the country, in an attempt to get some public momentum behind their longshot goal of blocking that effort. Congressional Democrats are organizing what they call a "Day of Action," with events scheduled from California to Illinois to Maine. 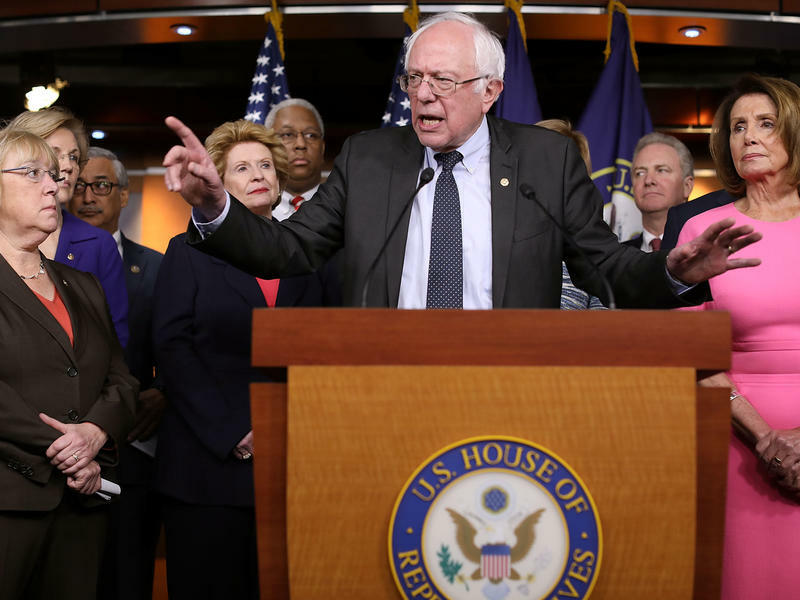 Democrats don't have too many opportunities to set the agenda in Congress right now. They don't decide what bills are called for a vote, and, due to changes in Senate procedures, won't be able to block any of President-elect Donald Trump's Cabinet picks without Republican defections. One thing Democrats can affect are the headlines coming out of the first wave of confirmation hearings. 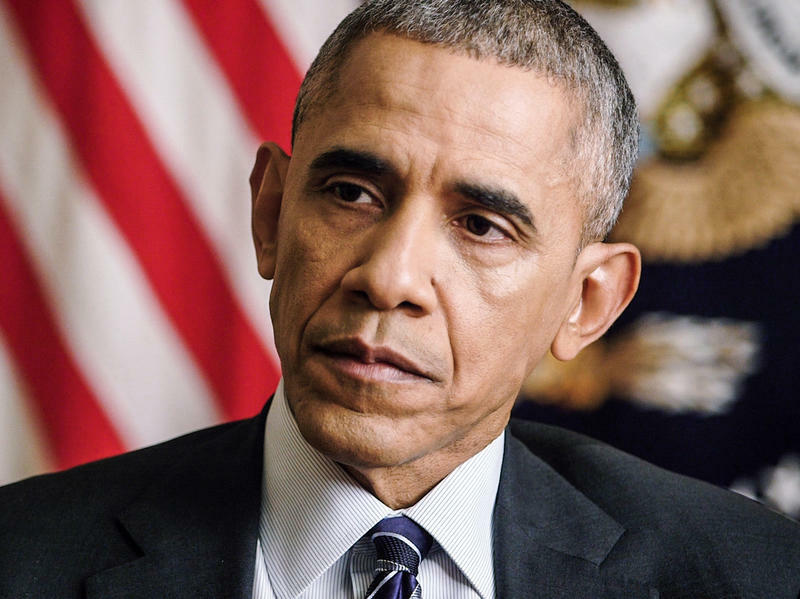 Democrats may have lost the House and the Senate over the past eight years, but they always had one thing: President Barack Obama — and his veto pen — in the White House. That won't be the case next year, when Republicans find themselves with all the power in Washington for the first time since 2006. 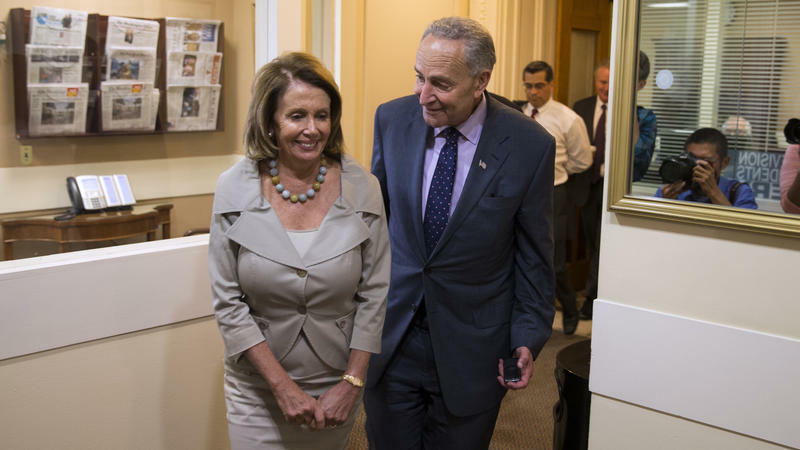 The capitol's new power dynamic — and the aggressive agenda Republican leaders are laying out for 2017-- is forcing Democrats to make some tough strategic choices about how they'll work as a minority party. 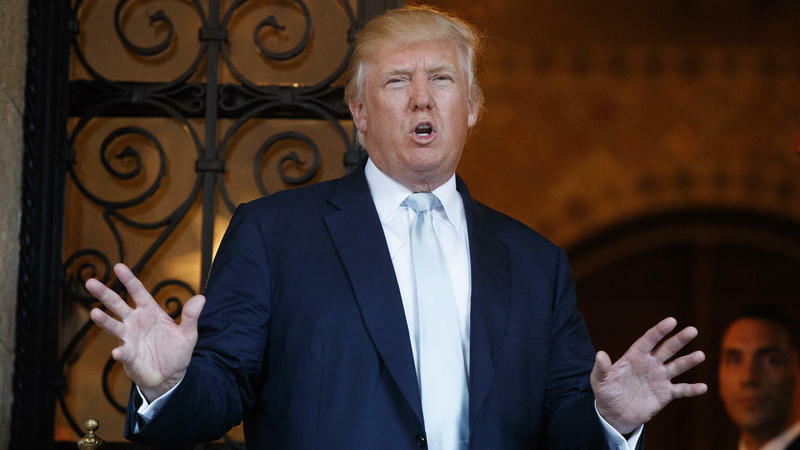 President-elect Donald Trump and @realDonaldTrump are contradicting each other. Wednesday afternoon, Trump emerged from his Mar-a-Lago resort to tell reporters that he and President Obama had spoken on the phone and had "a very nice conversation." "I appreciate that he called me," Trump said. The comment came hours after Trump blasted Obama on Twitter. 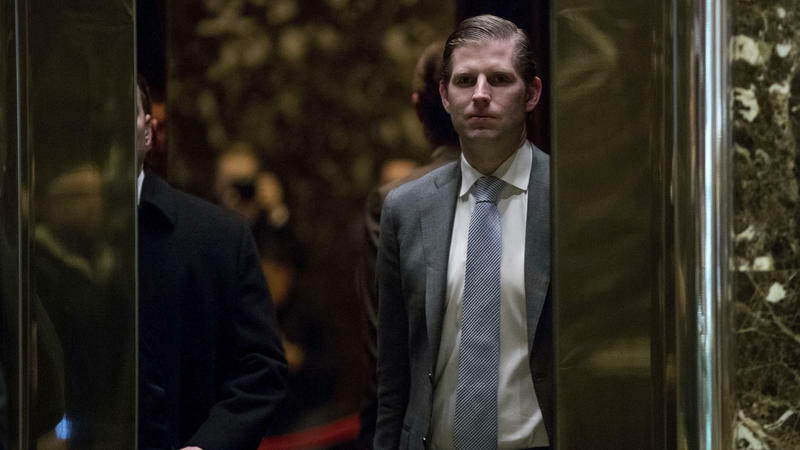 In the midst of multiple fundraising attempts that raised questions about whether the Trump family is selling the promise of personal access to the highest bidder, Eric Trump says he will stop directly raising money for his personal charity. 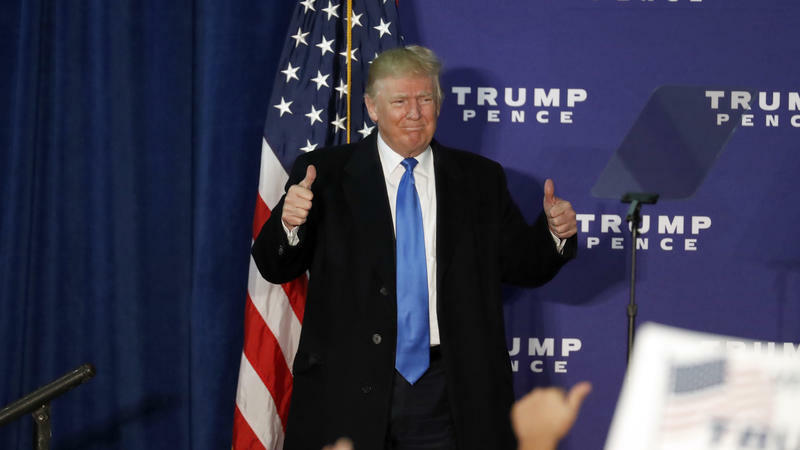 "As unfortunate as it is, I understand the quagmire," Trump told the New York Times. Donald J. Trump will be the next president of the United States. That's been the case since Nov. 8, when Trump won 306 electoral votes, despite losing the national popular vote to Hillary Clinton by nearly 3 million. And on Monday, the result was ratified by Electoral College voters, who gathered in state capitols across the United States to formally vote for president. 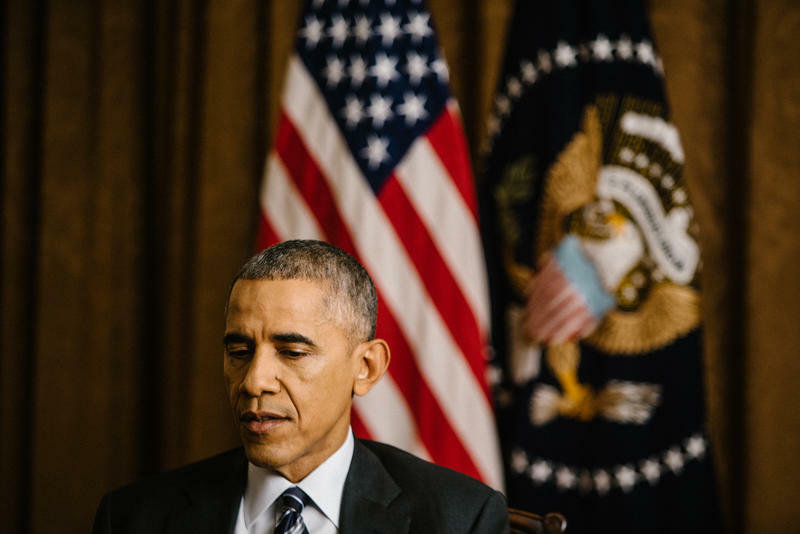 President Obama sees a role for himself in rebuilding the Democratic Party after he leaves office — coach. 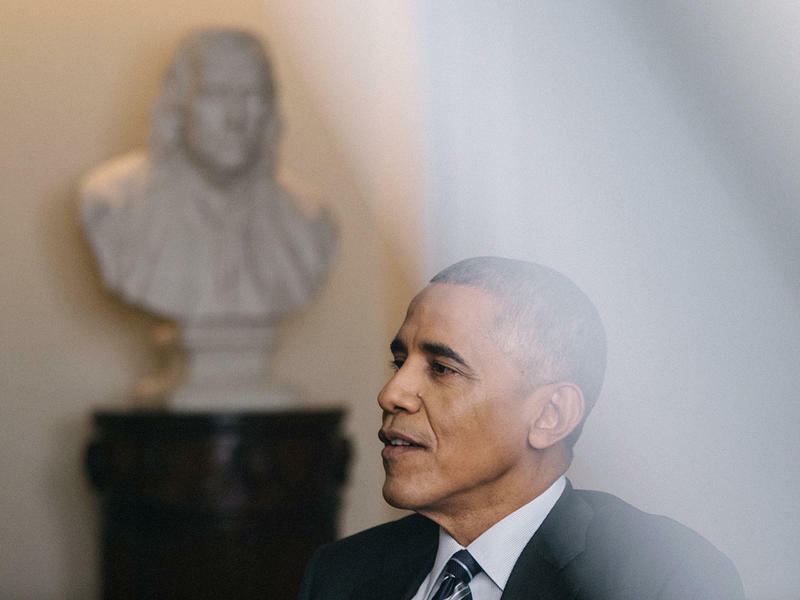 President Obama has some advice for his successor — don't strike out on your own. Updated 7:51 a.m. ET Dec. 14 with official announcement of Perry's nomination. It's a good thing former Texas Gov. 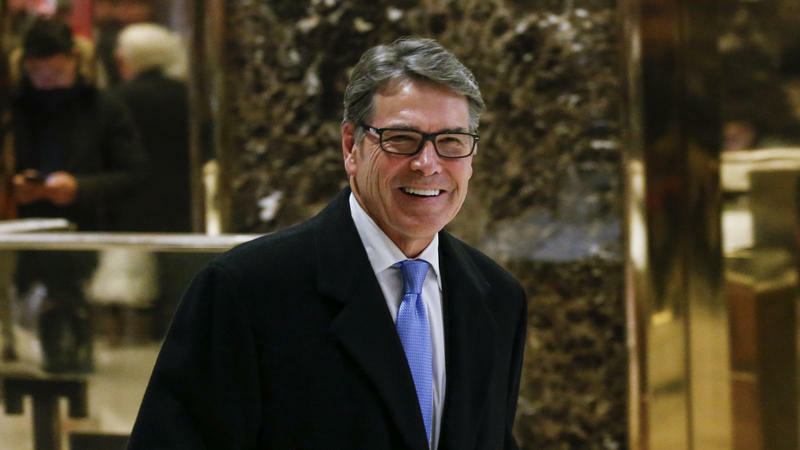 Rick Perry once forgot he wanted to eliminate the Department of Energy, because President-elect Donald Trump is nominating him to lead the agency. The Senate gathered this afternoon to say goodbye to Vice President Joe Biden. Biden has been a presence there for more than 40 years. And NPR's Scott Detrow says it was a rare bipartisan moment in an increasingly partisan Capitol.